It’s not officially summer until you’ve had your first patio cocktail (or two, or five). 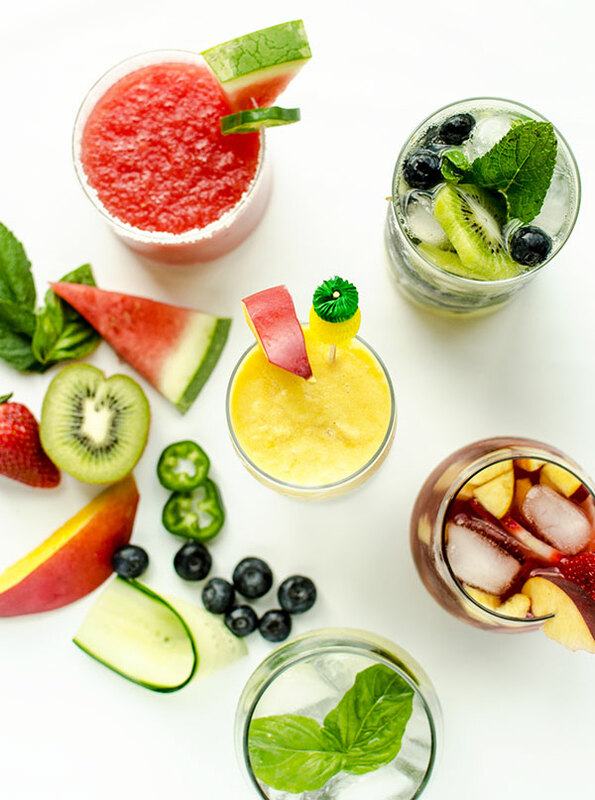 Today I’ll help you kick off summer with 5 refreshing summer cocktails. 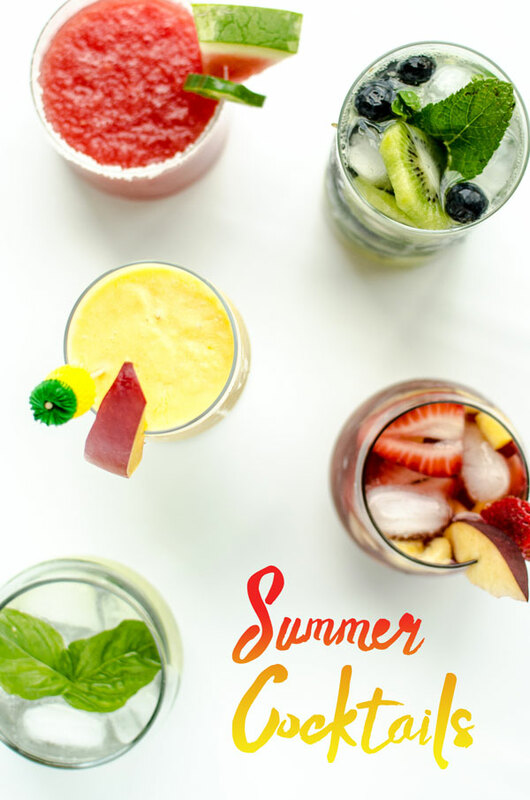 You can find these delish drinks and more sunny sipping recipes in the summer issue of Merry, coming next Monday, June 8! Consider this your sneak peek! I didn’t realize until I made my shopping list that all my picks are so fruity (+ one veg). So I guess that makes these cocktails healthy right? Right? I’m going to pretend you agreed with me then. When I make cocktails I do like to go all out. For example, a friend suggested that I start using a nugget ice machine (I even took a look at something like this hereon,biz – nugget ice makers to give me a better idea of what I could get to make my cocktails that much better). I adapted each of these recipes to make them my own. You can go with or without booze, whatever type of party you feel like having. Dreaming up cocktails is a lot like cooking, there’s lots of room to experiment and don’t stress too much about the measurements. That’s my way of saying these recipes are guidelines so adjust to your liking. 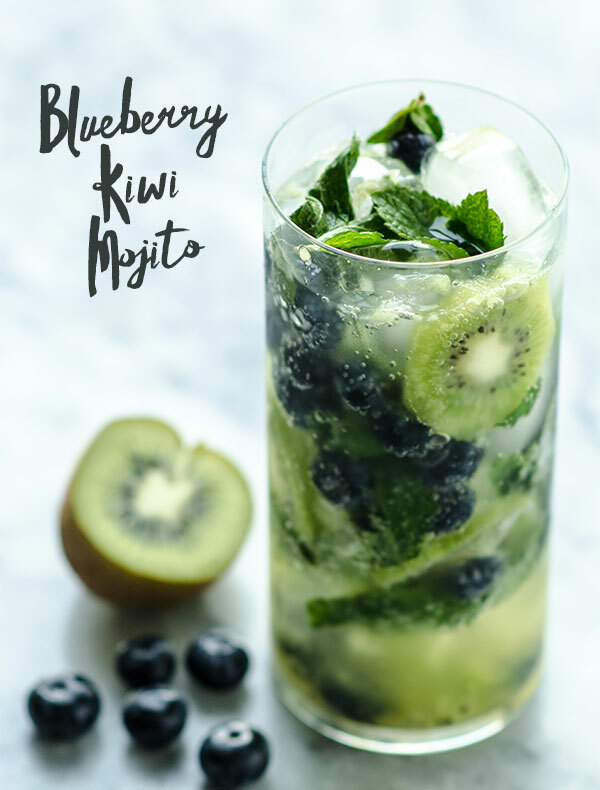 Put a few slices of kiwi, some blueberries and some mint at the bottom of each glass along with the simple syrup and muddle to release flavors. Then add lots of ice and the remaining ingredients & stir. You can make individual glasses or a pitcher. Here’s what you need to make one so adjust recipe accordingly to how many glasses you want to make. 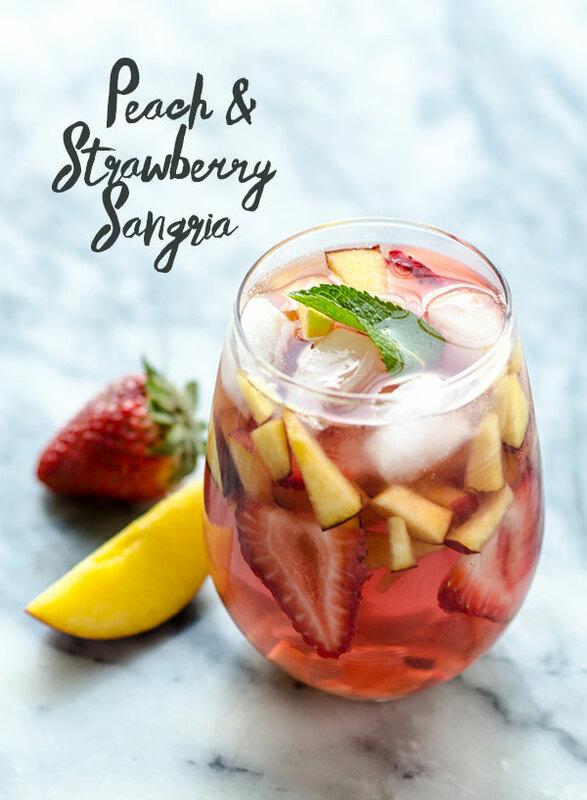 Mix all the liquids with ice then add your cut up fruit and a few sprigs of mint for each serving. 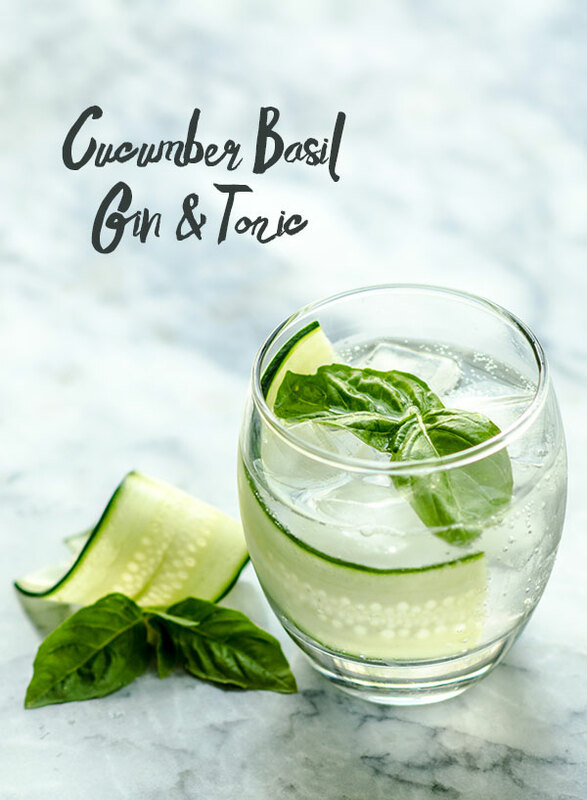 This one is your classic gin & tonic with a slice of cucumber and a few basil leaves thrown in for a refreshing summer twist. 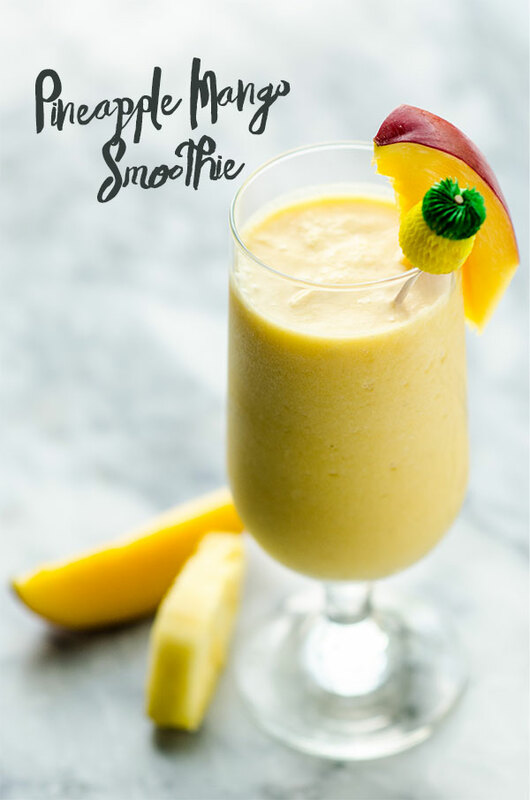 If you use frozen pineapple and let your mango puree freeze for about an hour you don’t need to add ice for this tall drink of deliciousness. If not, then add some ice along with all the ingredients and blend on high until smooth. 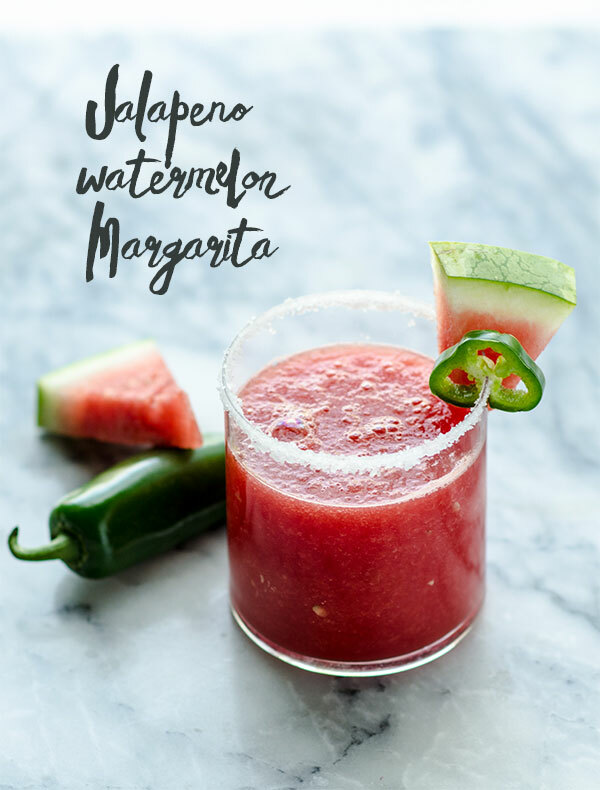 Use a piece of the juiced lime or dip in water to wet the rim of the glass then dip in salt & chili mixture for an extra kick. Blend your watermelon first until it’s pureed. Then add rest of ingredients and blend until smooth. If you freeze your watermelon ahead of time, replace the ice with some cold coconut water instead. Garnish with thin jalapeno slices. Well that should keep you and your guests happy for awhile! I personally tested each one and can assure you that they’re all as delicious and refreshing as they appear. Be sure to come back on Monday for the big Merry Summer Issue release loaded with more recipes, DIY projects, outdoor living & entertaining ideas, and summer style. The drinks look delish. The magazine will launch SUMMER!!! !